For our last class on Monday and a very productive discussion about the War on Terror – what the boundaries are of its definition, and what are the legal arguments for and against the authorization to use military force in Afghanistan, Iraq, and in United States detention facilities on foreign soil. I have posted your paper abstracts on a new permanent page, “Research Showcase” for your reference. Feel free to add the url to your resume or CV, it will remain there for you indefinitely. Thanks for a terrific semester, everyone, and for all your hard work! Comments on the papers will be sent out individually by Thursday afternoon, and then my margin comments may make more sense (can’t promise!). Grades should be up by early next week. Please continue to use me as a resource as you rethink the paper and prepare your curriculum unit in Charlotte Haller’s Summer I class; keep in touch! We have some rich, complicated cases to consider in rapid succession as three presidents face serious Constitutional crises during their terms in office: Richard Nixon, Bill Clinton, and George W. Bush. Reading: MP Chapter 15, 531-536 (US v. Nixon). Yes, that’s all the reading there is – you have your papers to turn in, so this session will be more lecture-like than usual and less reading-heavy. The presenters are: J. Fails, M. Lynch, and S. Boosahda – if you need a suggestion, each of you could take one of the three presidential cases and provide either a quick overview of the episode and the Constitutional issues involved, or perhaps a discussion of a useful resource for studying that president’s moment of crisis and its resolution. We will also have a very special opportunity during our class time. Our campus Women’s Studies program is hosting historian Brigid O’Farrell on Monday the 23rd, author of Eleanor Roosevelt: She Was One of Us. 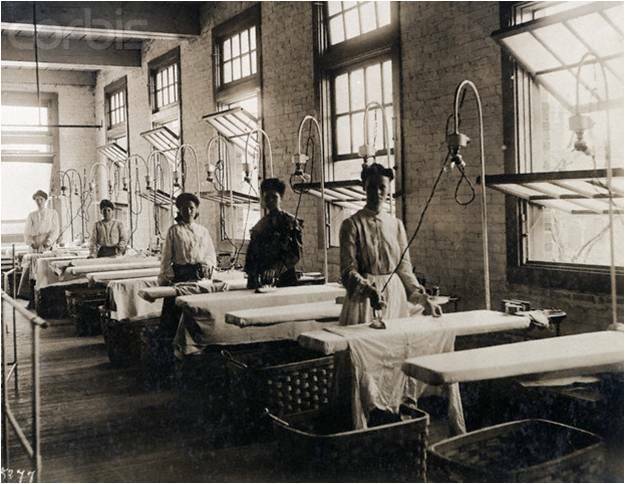 A sociologist by training, O’Farrell uses labor history to better understand the issues and barriers confronting today’s workers and their unions. She is currently a lecturer and project director at Mills College and affiliated with the Eleanor Roosevelt Papers Project, George Washington University. Earlier in the day she will be speaking about the content of her work on Eleanor Roosevelt, but in the evening she’s giving a special session for history graduate students and the general public about archival research, titled “The Challenge of Archives and Audiences, Unions and Universities.” We will all attend her talk (along with Dr. Haller’s research methods class) from 6-7 in the Student Center’s Blue Lounge, and then stroll back to our regular classroom to ponder presidential travesties. 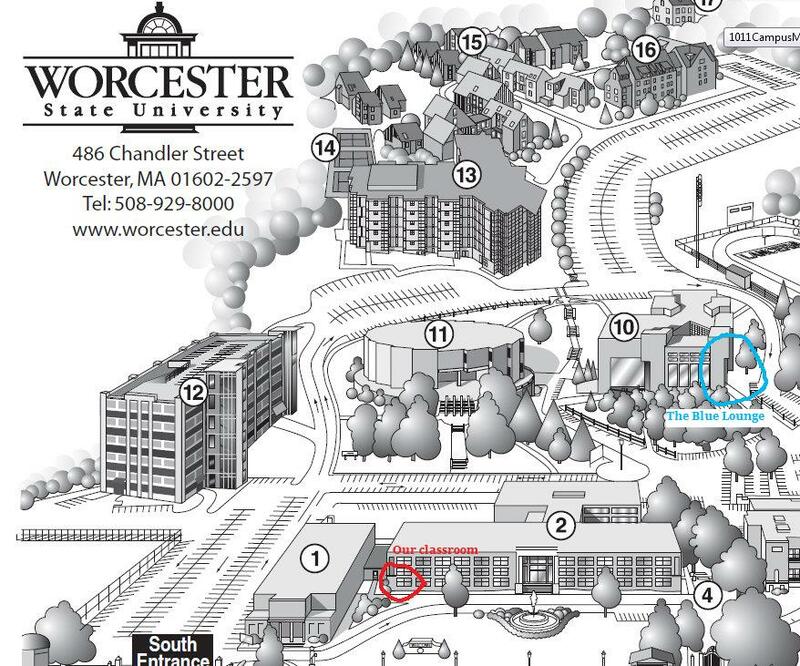 Here’s a campus map – I marked our classroom location, and the location of the Blue Lounge. It’s in the ground floor of the Student Center in the corner closest to the landscaping pond and athletic fields. I wanted to post the link to the Earl Warren obituary in the New York Times, from 10 July 1974. Reminder: Your review is due – guidelines are here, and also posted under the “Papers” tab. Our next class meeting will be Monday 3/26 when we talk about World War II, and in particular the internment of Japanese immigrants and Japanese Americans. The reading will be a 7-page excerpt from Melvin Urofsky’s constitutional history, download it here as a PDF. 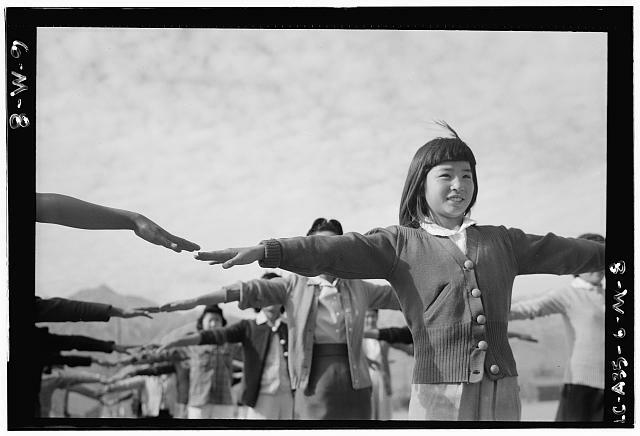 JARDA, the Japanese American Relocation Digital Archive – a rich digital collection of text, artwork, and other material from the first-person perspective of internment camp residents and staff. Spend some time looking around, and bring/print/highlight/note some of the items that catch your notice for our class discussion. Drama in the Delta, a RPG (role-playing game) currently under development, designed to help young people understand life in the camps, based on the Rohwer and Jerome camps, which were located in Arkansas. You can, depending on your time, inclination and hardware, download a prototype for Windows machines and try it out, or just explore the website and what the developers hope the game will accomplish. Due: Your prospectus, see guidelines under the “Papers” tab above. Also please note: I added a section at the foot of the “Papers” tab of resources for historical research and Chicago Style citation. Click here to jump to the resource list. After our discussion on Monday, I couldn’t resist posting this… thought you might enjoy. A little irreverent but a lot of fun. In retrospect, it probably would have helped for us to have the source analysis discussion from this week’s class before I had you turn in your document analyses. I really enjoyed that discussion and in fact, I thought about it all the way home and took some time to blog about it the next day. I thought I’d provide the link, just in the interest of full disclosure. You can read the full post here. Yes, I occasionally blog about my teaching although I seldom draw the attention of my undergraduates to it! Mon 3/5: Women’s Suffrage. Reading: Amar 419-428 and 2 PDF articles: Nancy Cott, “Marriage and Women’s Citizenship in the United States, 1830-1934,” AHR December 1998 and Elizabeth Kenny Sparacino, “An Online Bibliography of Resources for the Study of Woman Suffrage,” History Teacher Feb 2004. Mon 3/12: The New Deal. Reading: MP 10 + Amar 428-438. Due: Research prospectus (Guidelines here). Our discussion on Monday 2/13 will center on how Americans understood–and fought over–Constitutional concepts at the turn of the twentieth century, including laissez-faire, liberty/freedom of contract, substantive due process, police power, and the role of government (state and/or federal) in crafting and enforcing different kinds of protective legislation. The broader cultural context of these cases includes the constriction of black civil rights under Jim Crow, imperialist expansion, labor unrest, and the Populist and Progressive movements. It should be a rich discussion! Bring the Major Problems book. Also: the Document Analysis paper is due.